Are you tired of the blame and shame game with your significant other? For many couples, this is the pervasive pattern of communication. Accusatory, finger pointing, criticizing, blaming and shaming are the classic methods people attempt to use to interact with one another. Unfortunately, these tactics do not bring us closer or help us feel connected to our partner. These choices lead to disconnect, breakdowns, detachment and untrustworthy connections among couples. Couples come into counseling with the goals of feeling closer, communicating better and improving their relationships. Safety is an important factor in contributing to feeling close to our partner and to be able to trust one another. When we avoid controversy and communicate in a loving way we will become closer to our partner. If we feel disapproval, dishonor, disrespect or there is negativity in our interactions, how can we feel safe? Frequently, couples express themselves by stating “It’s all your fault” or “You’re such a jerk”. These statements put the other person on the defensive and don’t foster a safe, closer connection. The person receiving these comments often pulls away, shuts down and stops communicating. Or they often withdraw or comes back with similar blaming, shaming comments; certainly not gaining the result of feeling warm, close and loving to their significant other. “I feel….” honors the person you are communicating with. “I feel…” shows respect, dignity and regard. When we’re upset or angry it is much safer to express ourselves using the “I” statement. With this method we take responsibility for our own feelings and minimize blaming. An improved response to “It’s all your fault”? “I feel blame for things and don’t feel you take accountability for some of your actions. I feel less safe and removed from you when I am shamed and blamed”. Do not respond like: “You’re such a jerk”….”I feel hurt when you call me names and I feel no respect and less valued by you”. Or we can certainly ask for a “time out” and continue the interaction at another time when we can calmly and consciously communicate. The “I” statement in expressing ourselves gets us much better results in bringing us closer to the people in our lives. It allows us to own our feelings and allow for safety and closeness in our connections with everyone we interact with. In our daily interactions with coworkers, friends and loved ones we can have much stronger connections using the I statement. It’s a practice worth perfecting! Amy is a nurturer, cheerleader, coach and strong motivator inspiring those seeking clarity and improvement in their lives. 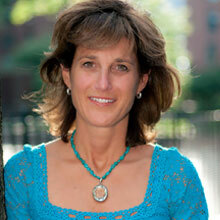 She specializes in working with adolescents, women and couples of all ages. She helps them make plans, overcome barriers and achieve results with kindness, understanding, compassion and empathy. Her aim is to help individuals focus on a more productive and positive future.